This post was contributed by guest blogger, Eugenia Rojas. A question worthy of a PhD: How do you visualize protein turnover within a neuron? For my PhD I studied a synaptic protein that is linked to neurodegeneration. The level of this protein is decreased in Alzheimer’s disease patient’s brains. However, it is not known why or how this happens. Therefore, I set out to study how protein turnover is regulated in neurons. This post was contribued by guest bloggers Aline and Benjamin Glick from SnapGene. SnapGene was created to meet a need. 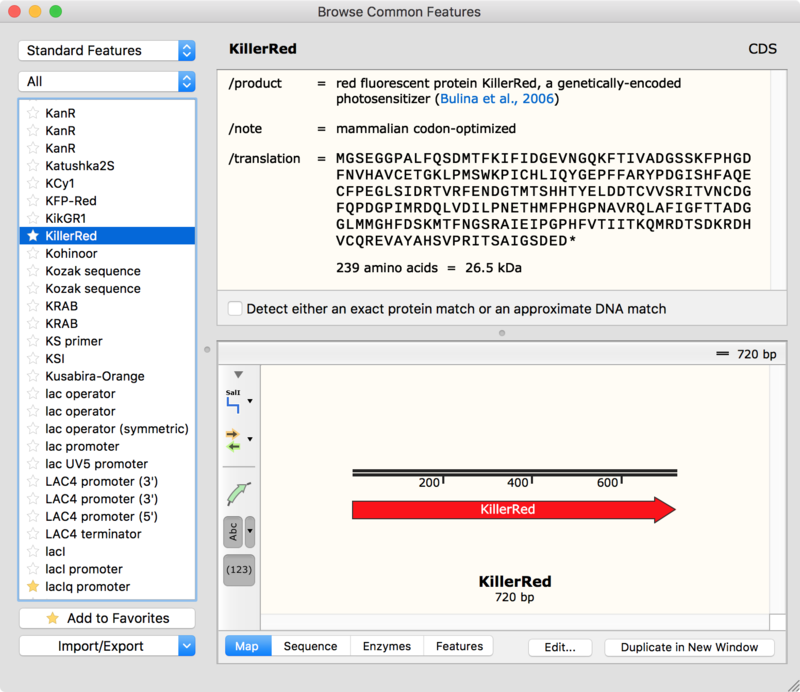 While there were software tools available to biomedical researchers manipulating DNA sequences on a daily basis, many found these tools inadequate for planning, visualizing, and documenting their procedures. Preventable errors in the design of cloning strategies set experiments back days or even weeks. Primer design was done painstakingly by hand. 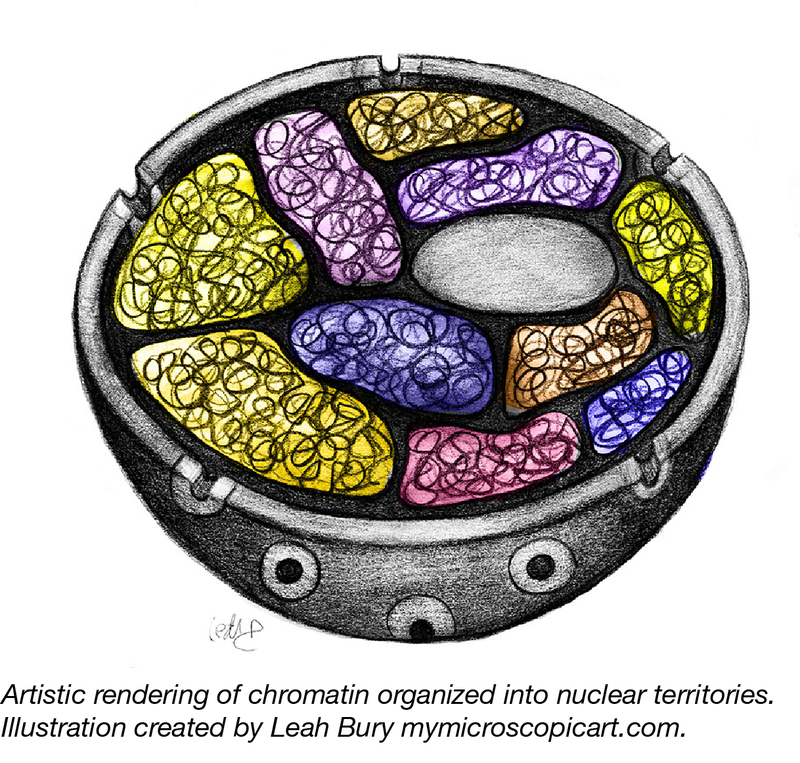 Records of plasmid construction were often incomplete or nonexistent. 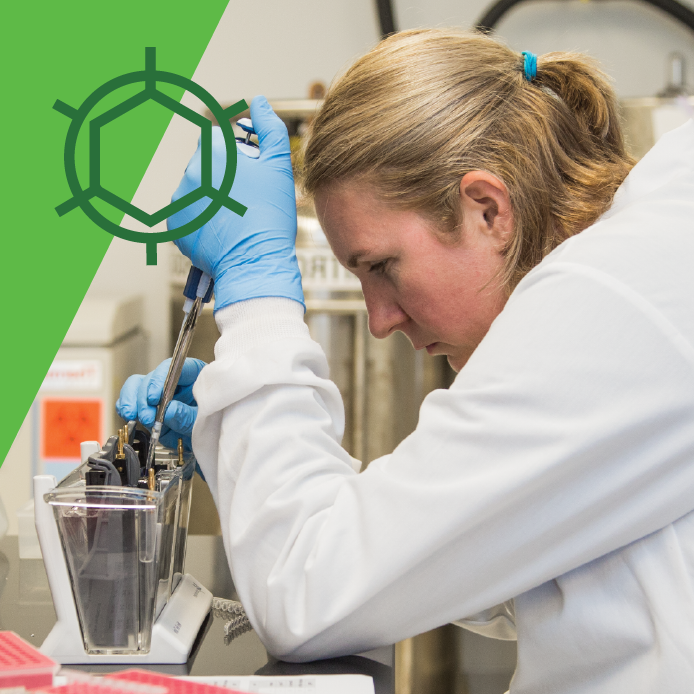 In the 21st century, many molecular biologists didn’t know the complete sequences or properties of the DNA molecules they were using. We often hear about breakthroughs in diabetes and lymphoma research or the many different ways you can improve your heart health. These are amazing advances that will surely save thousands if not millions of lives, but many throughout the world are affected by devastating diseases that affect far fewer people and therefore fail to garner much international attention. Their small numbers do not, however, make these patients suffer any less acutely. 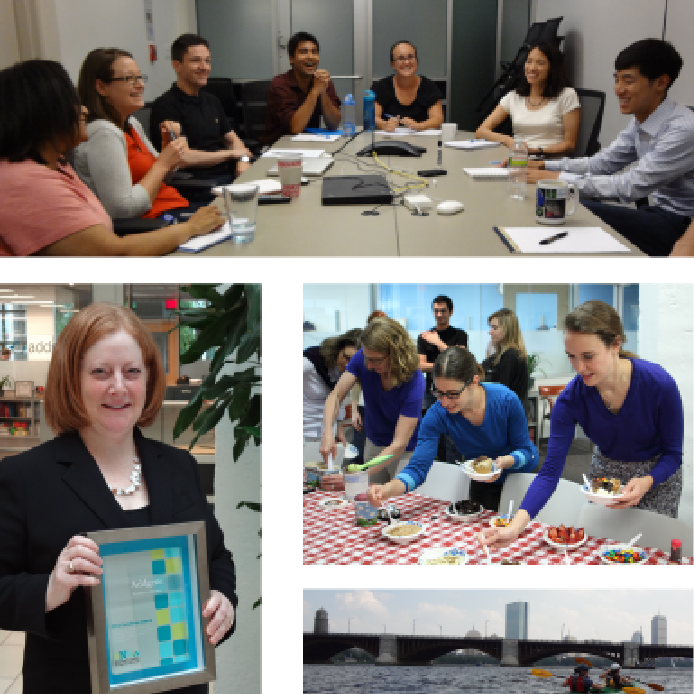 This post was contributed by guest bloggers Samantha Zyontz and Neil Thompson from the MIT Sloan School of Management. 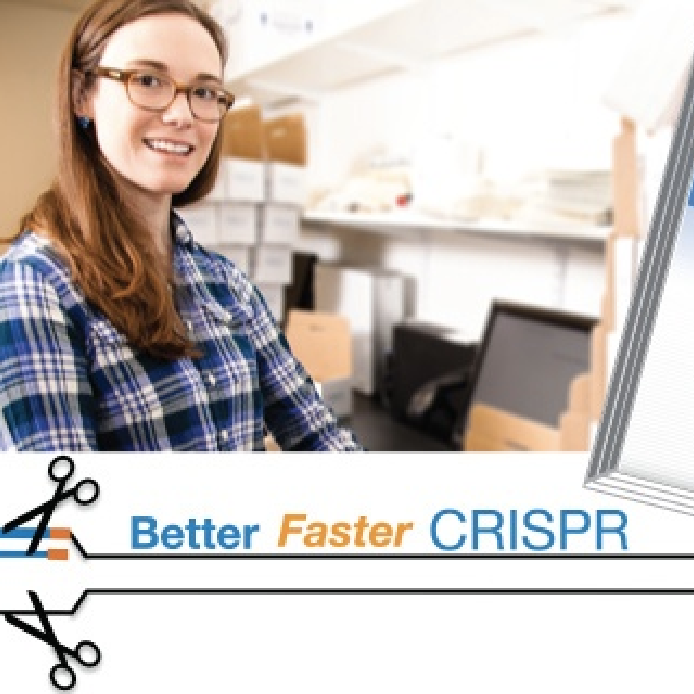 Professor Feng Zhang’s original 2013 gene editing paper on CRISPR/Cas amassed nearly 2,400 citations in its first four years (1). 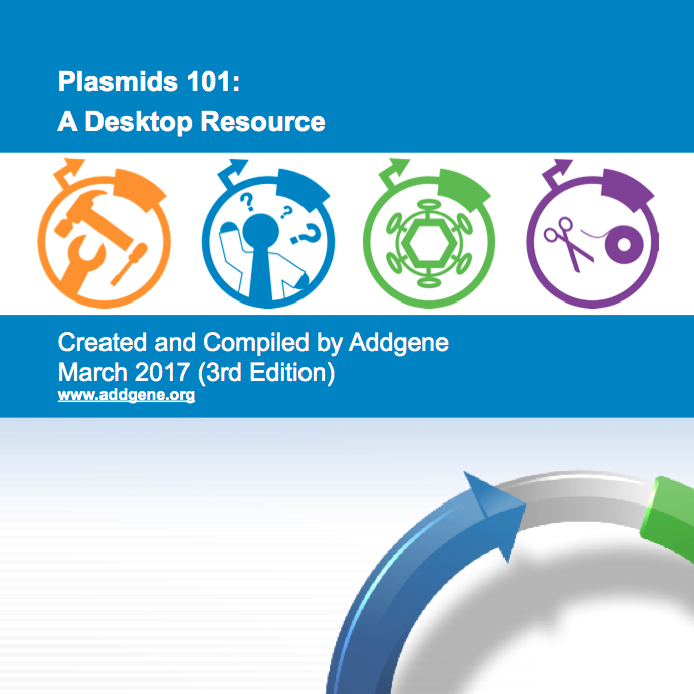 In addition to publishing in Science, Professor Zhang deposited the associated plasmids with Addgene. 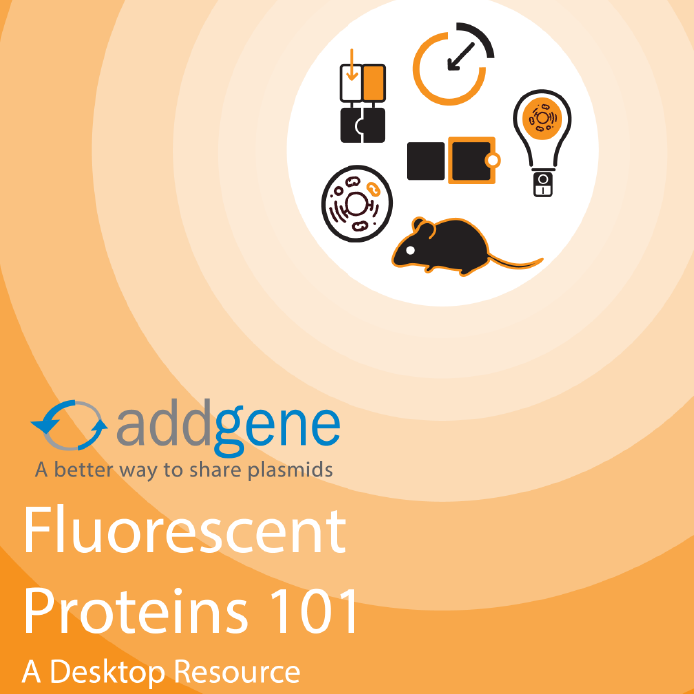 Since then, Addgene has filled over 6,500 requests for these plasmids. While clearly an outlier, this story had us wondering: is there a larger trend here? 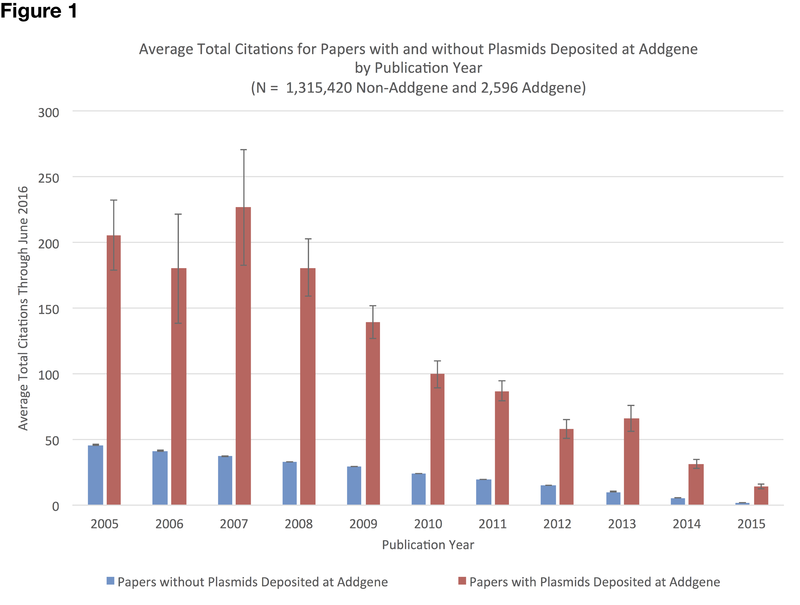 Do papers associated with Addgene deposits accumulate more citations than those without Addgene deposits? Even more interestingly, could we tell if depositing a plasmid with Addgene causes a paper to get cited more?